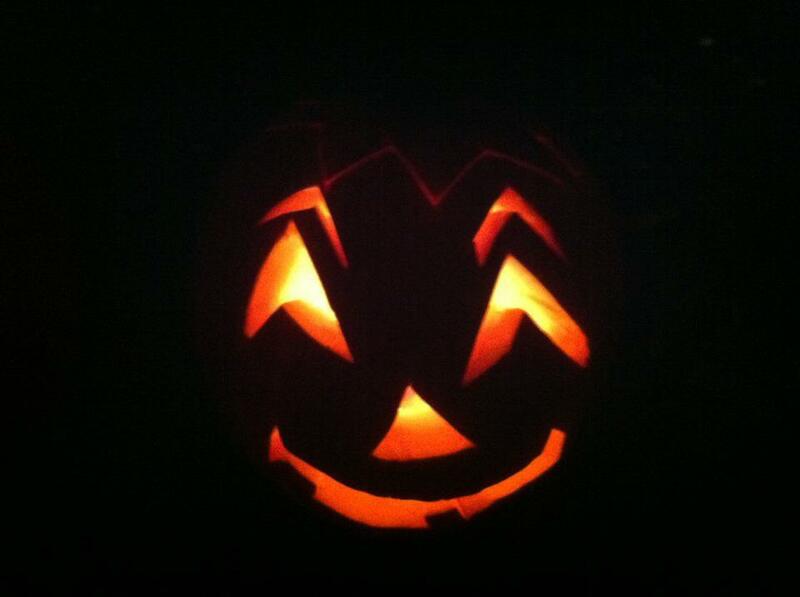 This is the Jack O’ Lantern I carved this year. This is the one from last year. 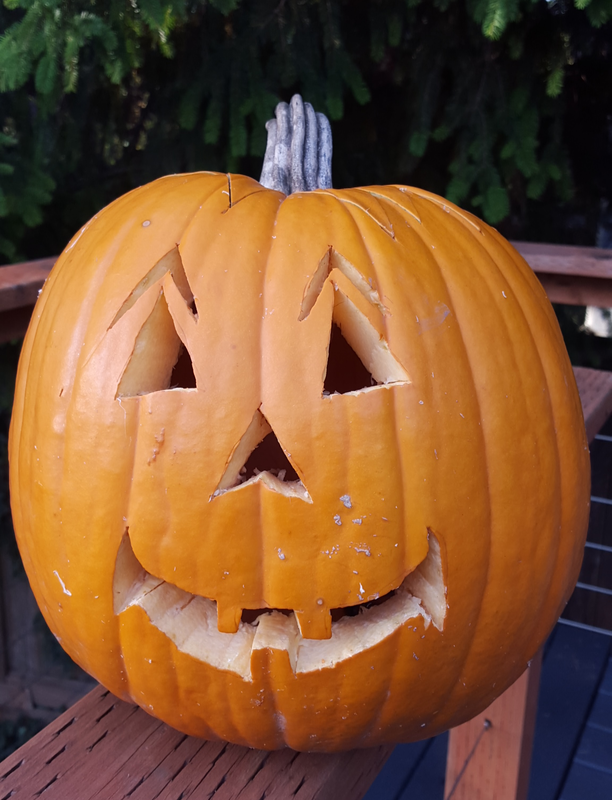 If there were pictures of every pumpkin I have carved since I was allowed to hold a knife, you’d see the same triangle eyes and crooked smile, over and over and over again. I started adding those stylish eyebrows a few years ago, and I was quite proud of that facial innovation. “A classic,” my husband says every year. Why don’t I try something new? Maybe I’m a pumpkin purist. Maybe I subscribe to the “if it ain’t broke,” theory. Maybe it’s that with all the big decisions we have to make every day as parents and adults and human beings I just don’t want to exert any mental energy to choose a new design. Maybe I’m scared of change. I think it’s that I love tradition: visiting the pumpkin patch, searching for the perfect plump canvasses, then gathering around a plastic-covered table on the deck, each of us armed with giant orange scoopers and an arsenal of cutting instruments. As the leaves turn and the air chills, with school and soccer and piano lessons in full swing, I look forward to those few hours, laughing and singing along to ‘80s hits and Kids Bop with my lovely little family, our hands covered in sticky pumpkin goo, knowing another familiar face will soon join us. 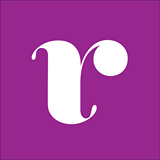 This entry was posted in family, Halloween, parenting and tagged family, Halloween, parenting on October 17, 2015 by kheadline.